Welcome to Part 7 of our “Gemstones of the Zodiac” series. The seventh sign of the Zodiac is Libra (September 22 - October 22). The Mystical Zodiac stone for Libra is Jasper. Jaspers are all opaque, composite stones, made up of chalcedony, microcrystalline quartz and other minerals. This is why so many jaspers have either bands of color, or patterns, and is also why there are jaspers of almost every color. The name jasper means “spotted or speckled stone”, and is derived from the Latin ”iaspidem”, and the Green “iaspis”. Jasper is one of the oldest known stones. On Minoan Crete, archeological digs have unearthed seals carved out of jasper dating back to 1800 BC. 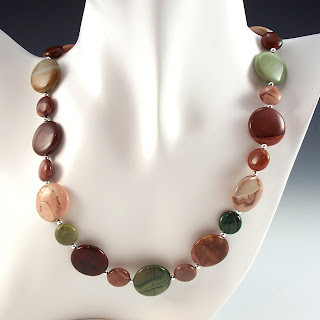 Many cultures valued jasper stones. The Bible refers to jasper as a direct gift from God, and was the first foundation stone in the New Jerusalem. 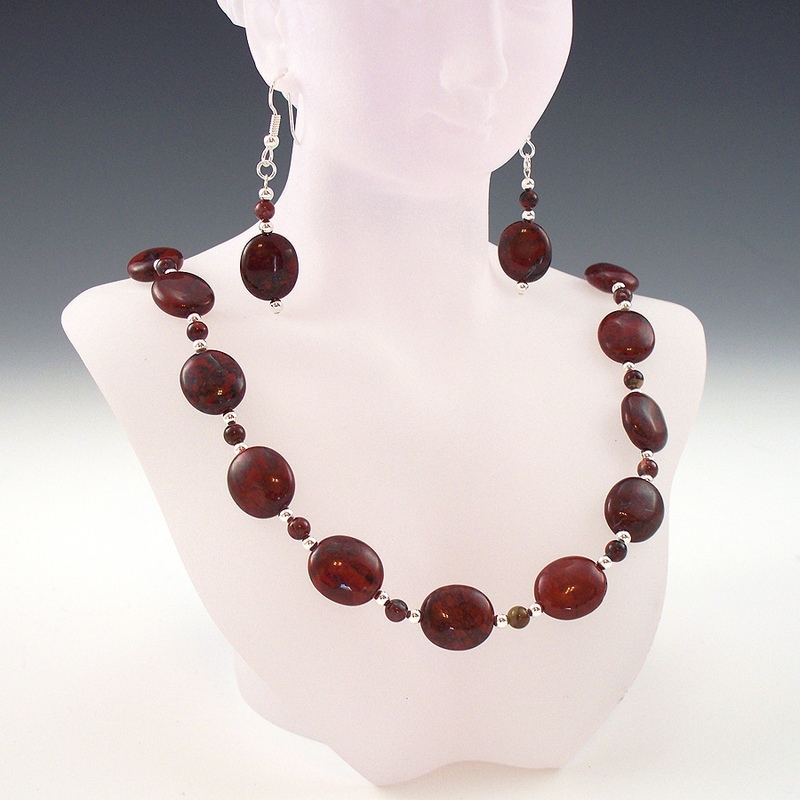 Indians in Asia, as well as Native Americans in the US, used jasper as a rain stone and for healing. 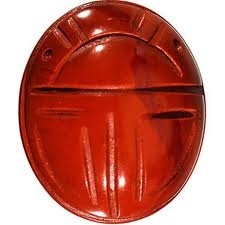 In Ancient Egypt, scarabs were carved out of jasper. The Egyptians believed the stone would increase your sexual energy. 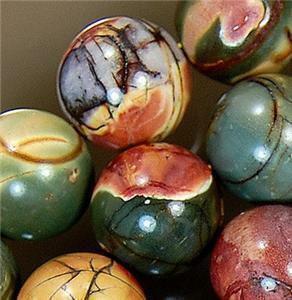 Brecciated jasper gets its name from the word breccia, meaning composed of broken fragments of minerals or rock cemented together by a fine-grained matrix, that can be either similar to or different from the composition of the fragments. 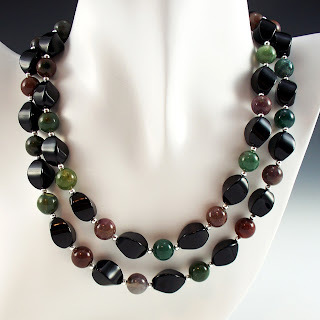 The matrix you see in brecciated jasper is composed partly of hematite. This makes is a good grounding stone, especially when you are feeling overwhelmed. It absorbs negative energy, and helps with healing and recovery. 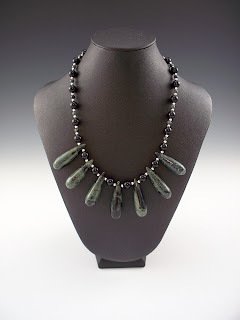 Kambaba jasper has also been referred to in the past as fossilized stromatolite algae. It is found in Africa. It is used for helping relax and focus your state of mind. It is also thought to help rid the body of toxins so that the body can better absorb the necessary minerals. 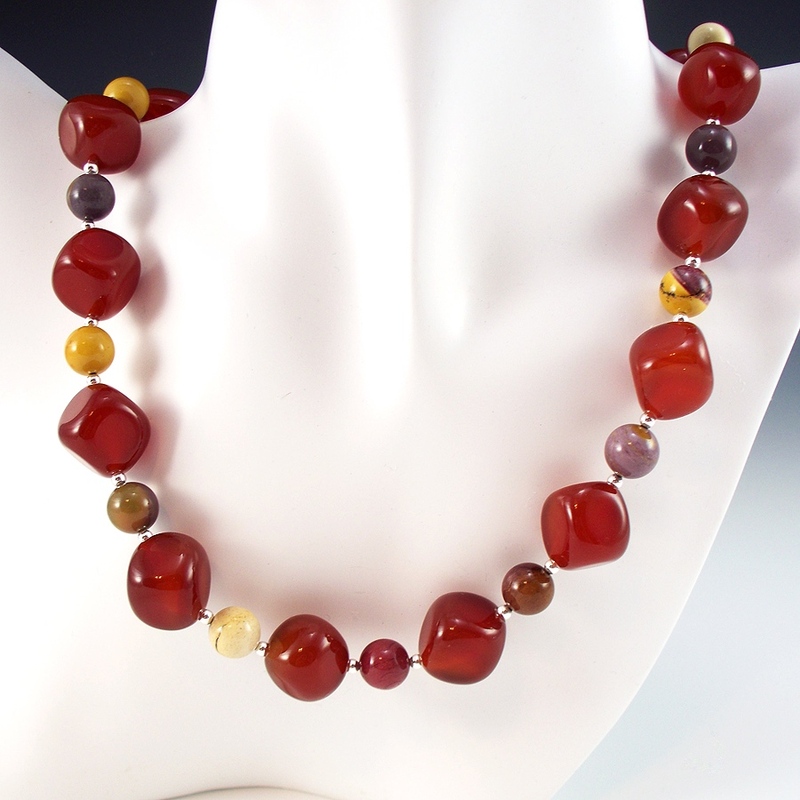 Imperial Jasper is good for finding your center, getting balanced, grounding. It is a stone found only in Mexico. Moukaite jasper is a great stone for helping with the mind. It assists in decision making by giving us flexibility and openness, as well as increasing energy and promoting new ideas. It can also remove the elements that are getting in the way of decisions and growth, and other distractions. Fancy jasper, which comes in many colors, assists in healing, and bringing about wholeness. It helps people to lighten up and enjoy themselves. It can also help build inner confidence. Red creek jasper is my personal favorite. It is a relatively new stone, having been found in China recently. 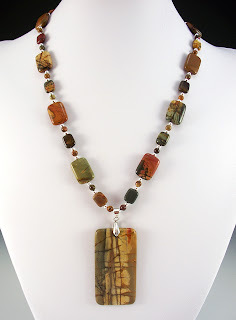 This jasper has the most amazing and complex series of matrices and color palettes of any stone. It is good for helping bring issues to light long before they become big, unmanageable problems. These are just some of the many jaspers that exist. As I said, there are dozens, and I hope you enjoy exploring them all in the future. Jaspers really are a great series of stones.